Last week, I finally reached the end of my 2016-2017 Mt. Kilimanjaro Journey. I had the chance (finally!) 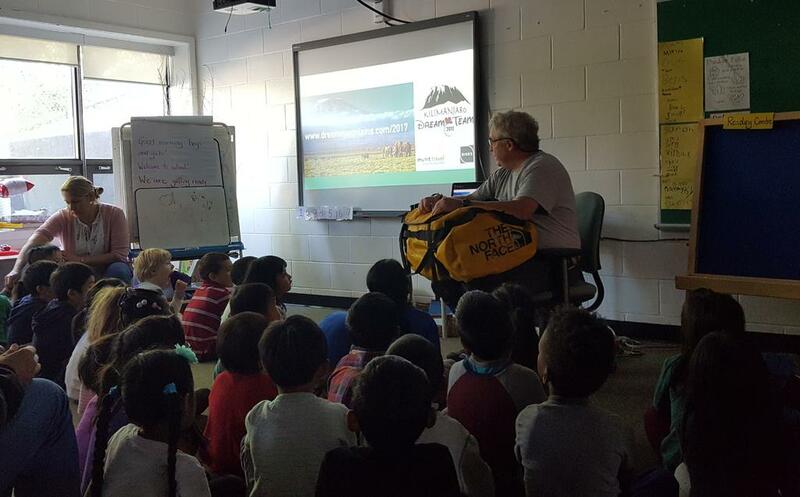 to go back to my former school – St. Anthony – to present on our great trip to Mount Kilimanjaro this past April. I had the great honour to present to all the students from kindergarten to grade 6. Each presentation was different, aided by a Google Slides presentation and lots of equipment from the climb. The kids asked great questions and we had a really great time talking about high altitude and how to walk on a mountain. 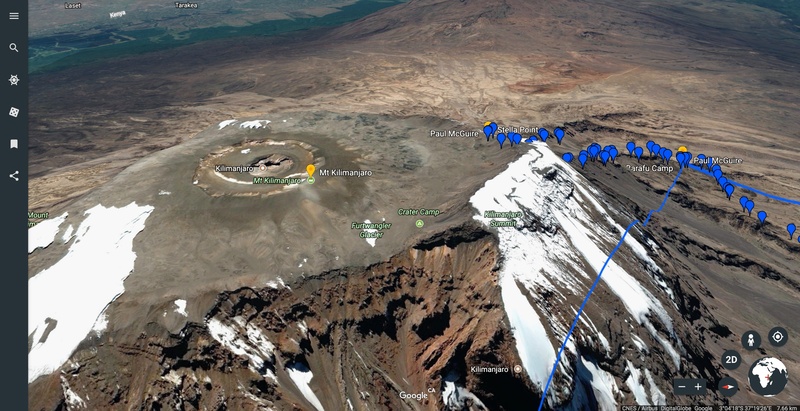 I had the chance to use the new Google Earth to show a 3-D model of the mountain which was a great teaching tool when overlaid with the track we followed up the mountain. Now I can finally say that my trip is over. The Kilimanjaro journey really started at St. Anthony when I decided to retire from the school so I could really train for the climb. 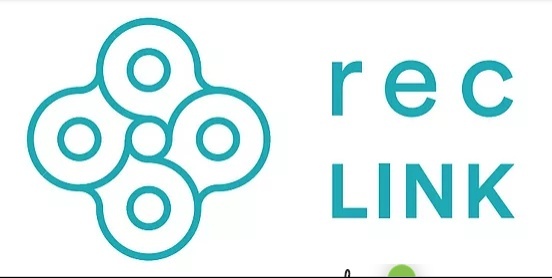 We were able to raise almost $10,000 for Rec Link, a great organization that works with our families to provide recreation opportunities for our kids. This was much more than a retirement adventure, it was a way to give back to these kids and this community. Now that I have talked to the school community, I can move on to new challenges. Dream Mountains is getting ready for its next big venture – a trek to Mt. Everest Base Camp. I can’t sign up for this next climb until August, but I really hope I will be able to sign on. I love the idea of raising money for the community and I really want to challenge my body and mind again to take on a trek that is truly challenging. Thanks to all the teachers and students of St. Anthony! Thanks to all those who supported me and helped raise an incredible amount of money for Rec Link and especially thanks to my family for being my great organizing committee. We will soon see what comes up next.